Yesterday I received confirmation that the 1/100 Gundam Astray Red Frame and 1/100 Gundam Astray Blue Frame that I had bought from HWJapan was shipped already, yey! 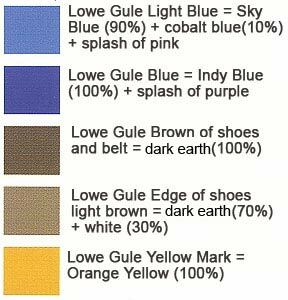 I was mostly interested in the Color Guide so I could find out right away what colors I had to buy given my current inventory of paints. Aside from the color guide for the 1/100 Gundam Astray Red Frame, I decided to look also at the 1/60 Perfect Grade Gundam Astray Red Frame for comparison. 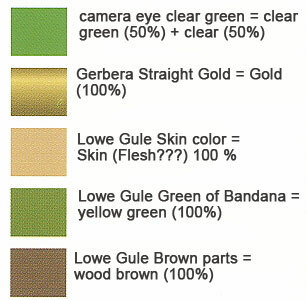 Once again you'll notice that between the two model kits, their recommended color mixture will be different for the same parts. 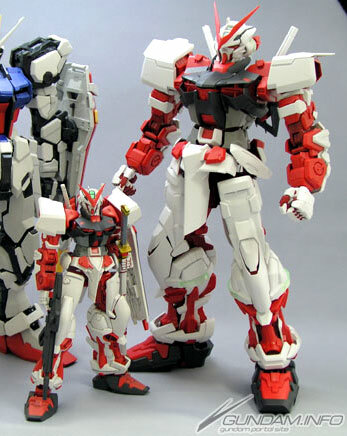 The 1/100 Non Grade Gundam Astray Red Frame is selling for 2000 yen at Hobby Link Japan, 1400 yen at HWJapan, 2000 yen at Hobby Search and $$$$ at 3rd party Amazon Sellers. 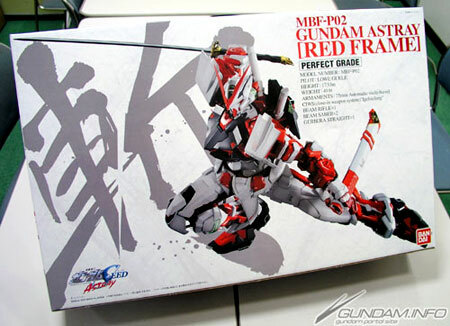 And here's the Color Guide for the 1/60 Perfect Grade Gundam Astray Red Frame. Sure can't wait for this kit to arrive already. 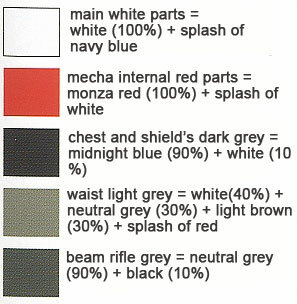 Meanwhile, here's the color guide for the Gundam Astray Blue Frame.